"Robin Thompson: I like the tune! Well played, Chris! Thanks Robin! " "Steven Berger: Nicely done, Chris! Thanks Steven! " "Steven Berger: Nicely done, Chris! And, like Robin says, "appropriate". Thanks, Steven. " "Robin Thompson: Yes, appropriate. . . Though I've only been following the Brexit saga from afar, my heart is with all whose lives may be turned upside..."
"Robin Thompson: Cool, Chris! Thanks, Robin "
"Geckostar97: Nice tune, Chris, we’ll done. Thanks! " "Steven Berger: Very nice, Chris! Thanks Steven! " "Steven Berger: Nice version of this tune, Chris! I especially like the "pipes" toward the end! Thanks, Steven "
"Robin Thompson: Cool take on Skye Boat Song, Chris! Thanks, Robin "
"Steven Berger: I like your version of this tune, Chris! As an aside, this tune is mentioned in Eric Bogle's song, "The Green Fields of France". Yes!..." Welcome to FOTMD, Chris. It's good to have you aboard. Hey Chris, welcome aboard. Glad ya found us. 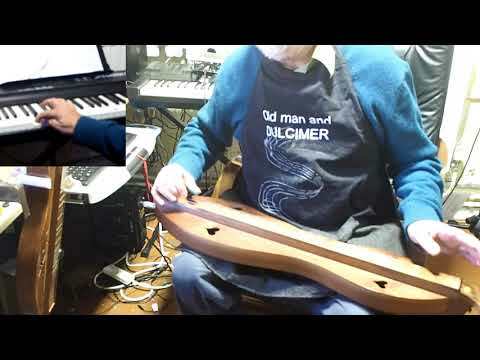 Hi Chris, and welcome to the wonderful world of the Friends of the Mountain Dulcimer. It's a good place to come, spend some time, learn about the dulcimer, and to meet some good people. Welcome, Chris, to this little corner of dulcimer heaven. Hope you enjoy it here.